Following a report from Tuesday revealing the trial, an analyst note from Macquarie Research discusses the attempt to circumvent the App Store's commission fee increases the number of major apps pushing back against the mobile platforms, joining Spotify. Rather than accepting a subscription through the app, paying Apple a commission, Netflix instead points new users in a number of markets to sign up via the website, avoiding the App Store payment mechanism entirely. While the firm suggests regulatory and legal pressures could affect how the app store model operates, the move by Netflix is a competitive pressure, and one most likely to cause changes in the short term than the other two types. Apple's 30-percent commission fee was modified in 2016 to allow subscriptions lasting longer than a year to be charged a lower 15-percent rate. Macquarie notes this worked for some time to keep apps with subscriptions on the store, but the decisions of Spotify and Netflix to move away from it is seen as a test of how far they can take it. Apple could retaliate against Netflix for the move, the analyst note adds, as some of Netflix's tests do include in-app links to subscribe elsewhere, which Apple could argue violates the terms of the App Store. While Apple's guidelines do not prohibit web-based service sign-ups, it does not allow apps to direct users to sign up via a service's website. Even so, the regulatory and legal pressures may limit Apple's response to the move, leaving the video streaming app to continue with its trial. It is thought these two pressures could influence Apple's response, due to Apple's existing music subscription service alongside a rumored video streaming offering. As these would directly compete with Netflix, Spotify, and other major subscription services, and are naturally not affected by the App Store commission, taking its competitors to task could draw unwanted attention from regulators, or a lawsuit. The competitive pressure also arrives in the form of Google Play, as Netflix's app has already disabled in-app subscription sign-ups on Android since May. 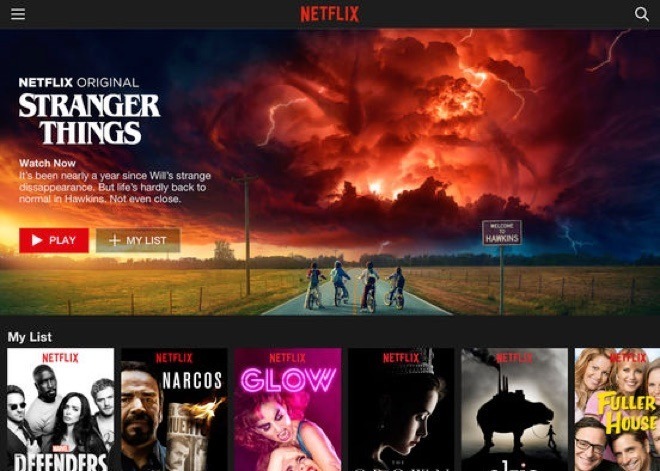 The trial could have a "modest" impact on Netflix's revenue, Macquarie speculates, with it increasing by one percent across the 2019 financial year, but only if Netflix can drive all sign-ups outside of the iOS ecosystem. The analysts suggest the trial is an early step to "prevent any drags" on international streaming average revenue per user (ARPU), with international subscriber growth thought to be still in the middle of the S-curve. The trial is unlikely to arrive in the U.S. anytime soon, as Macquarie believes there isn't much long-term benefit to be gained, due to its existing subscriber base, unless the company can come up with a way to tempt current iOS subscribers to re-subscribe directly to avoid Apple's charges. The firm adds that the "under penetrations of iPhones abroad presents less risk" for Netflix to perform its trials outside the US, then if a similar decision was made at the height of Netflix's U.S. growth. Even with the potential financial benefit from the trial, the analysts also suggest there could be a "downside risk" if Netflix were to make the changes permanent, as this could drag down on mobile sign-ups. According to the firm's data, approximately 35 percent of all of Netflix's sign-ups are performed through app stores on smartphones and tablets.